Lower-priced engines are uneconomical and slow, suspect cabin quality. Expensive further up the range. 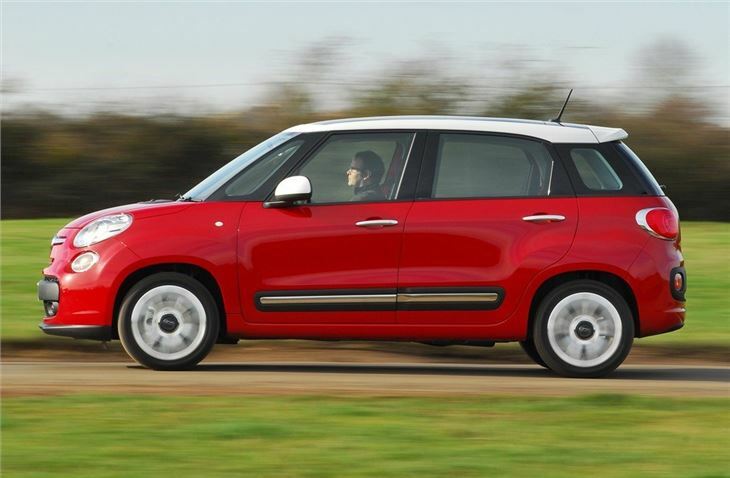 Report of "water" leak into footwell of FIAT 500L. 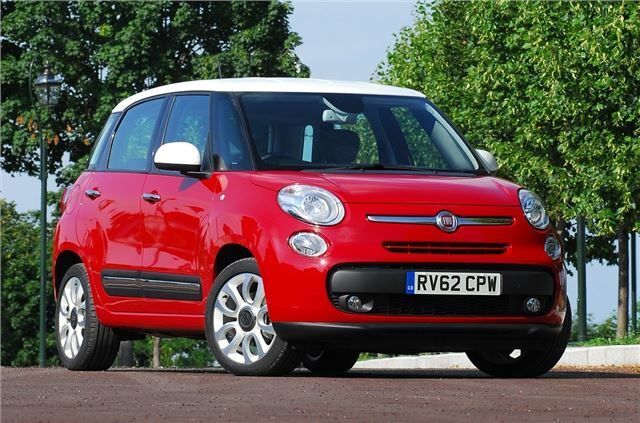 The 500L is an MPV bearing the name of a genuinely iconic small Italian car born in the 1950s. There were in fact bigger versions of the original 500 but never anything remotely this big. Big is relative, of course, and by today’s standards the 500L is a small MPV in the vein of the Citroen C3 Picasso and Ford B-MAX. 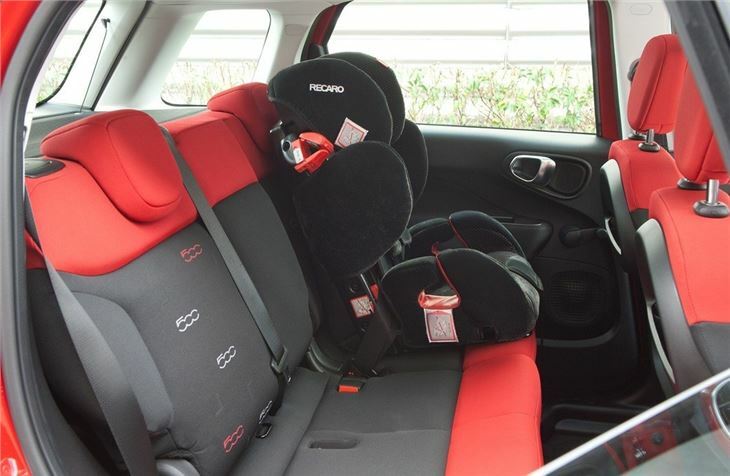 That means it seats five with a design whose purpose is maximising interior space. There’s an MPW version that’s even longer and seats seven, too. It’s a Fiat 500 by way of design details only. They’re details like the gawky front end, two-tone paint job and vaguely minimalistic interior. And options including a flask-sized Lavazza espresso machine that plugs into the centre console and pumps out tar-like hits of warm caffeine, just the way the Italians like it. 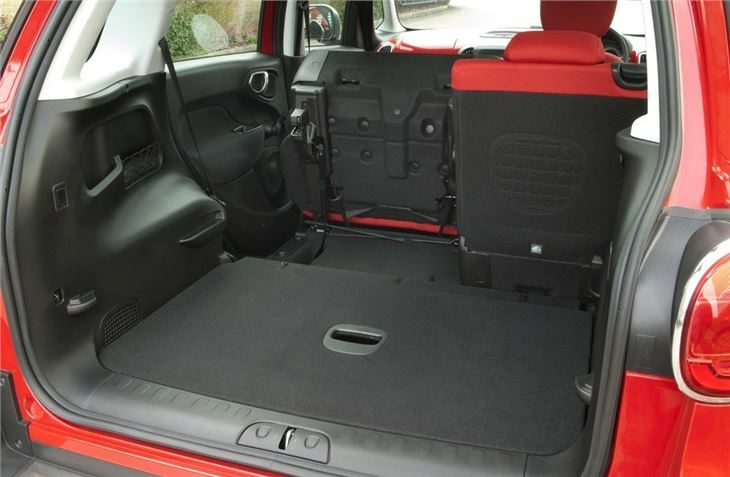 Design flourishes aside, this is fairly standard small MPV stuff - where standard means 'nothing special'. 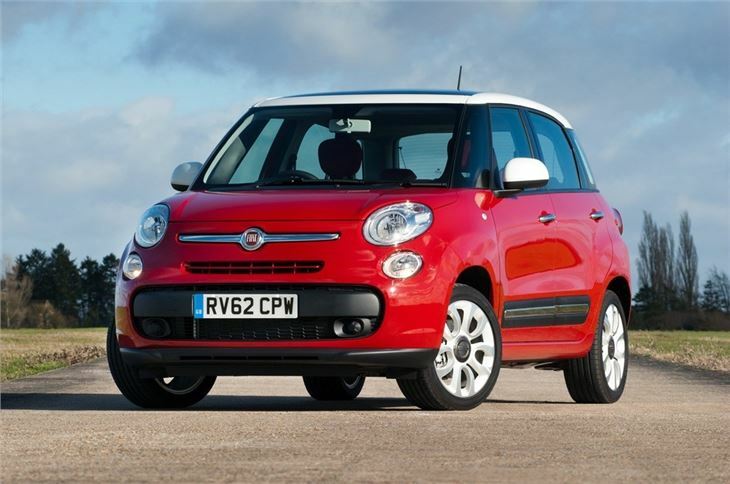 The cabin comprises mainly hard and cheap-feeling plastics and where a Golf Plus or Ford B-MAX have big car ambience, the 500L tends to feel like a bulked-up cut price runabout. That’s because it suffers from an uncomfortable driving position - especially for taller folk because the seat is set too high and the pedals too close - while refinement is average at best. There’s a wide choice of versions though, with three trim levels, five engines and three body styles (technically) - the crossover-style Trekking counts as separate model, so says Fiat, alongside the standard version and the seven-seater. The trim range begins at Pop and goes through Pop Star and Lounge, while Trekking versions get extra kit including plastic body cladding, extra ground clearance and winter tyres. Plus there’s the marketing tie-up that brings you the Beats Edition, based on the Trekking - because Dr. Dre definitely drives a Fiat 500L. It gets an upgraded stereo. 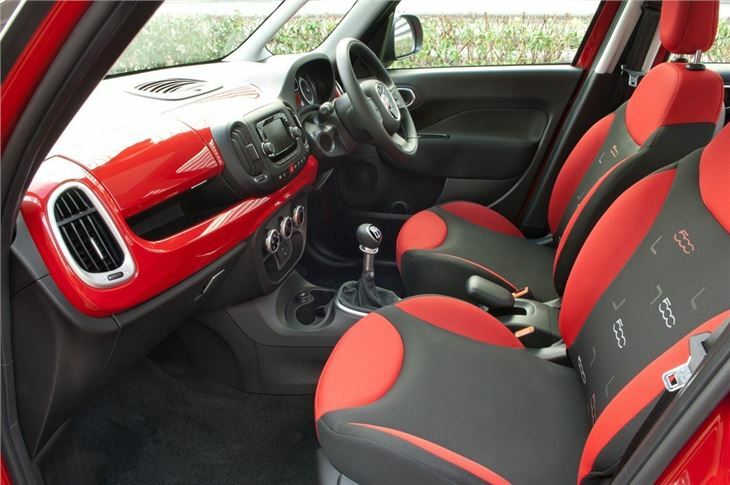 Standard kit is as you’d expect, with plastic wheel trims and warm air for base models, meaning you’ll need Pop Star spec for alloys and air conditioning. That said, all cars come with a five-inch (and fiddly) touchscreen media system, a cabin-enhancing body coloured gloss panel for the dashboard and the very useful ‘Cargo Magic Space’ system that allows all the seats bar the driver’s to be folded completely flat. In addition every car gets six airbags, which contribute to the 500L’s five-star Euro NCAP safety rating - a reassuring fact for family buyers. If you buy a 1.3-litre MultiJet 85PS diesel with an automatic gearbox you’re looking at 70.6mpg average fuel economy. That said, buy a base model 95PS 1.4-litre petrol and economy tanks to 45.6mpg, which is quantifiably poor. 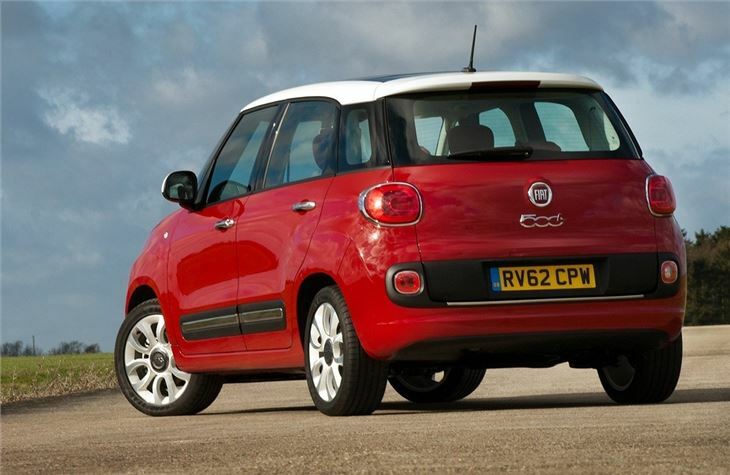 The FIAT 500L range is built at the former Zastava factory at Kragujevac in Serbia. very economical, spacious, feels much quicker than the figures suggest.